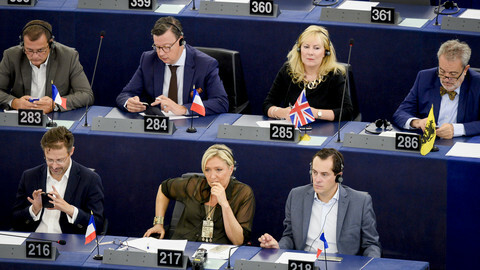 Speaking at a meeting of centre-right MEPs on Thursday (5 June), Juncker said: "I will not fall on my knees before the British." He also complained about a negative campaign in the British media and photographers stalking him at his home in Luxembourg, asking his neighbours about family stories. 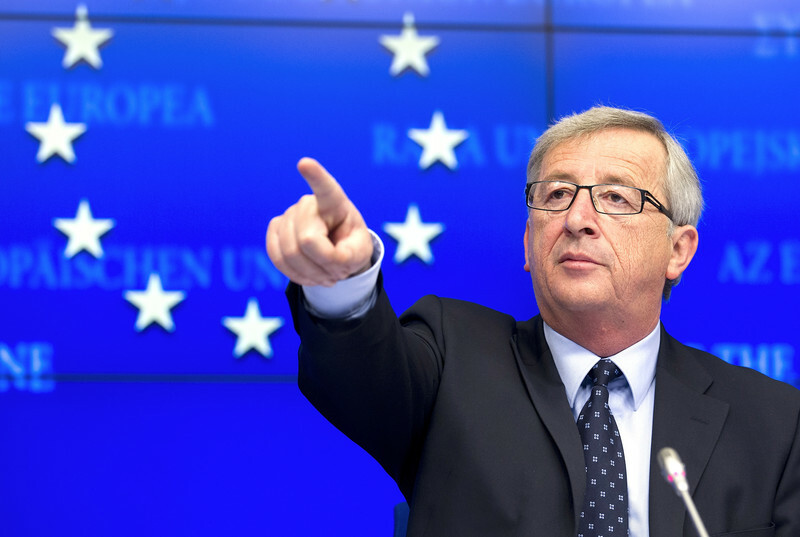 The British tabloid The Sun on Tuesday listed "six reasons why Juncker is the most dangerous man in Europe". But he acknowledged that, were he to become commission president, he would need to have a good working relationship with the British government. 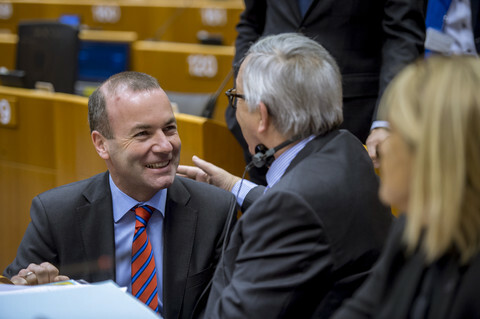 "One of my priorities [as commission chief] is to get a fair agreement with the UK. 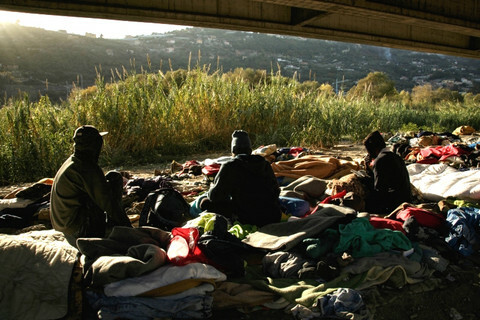 We need to take into account the British specificities," he said. 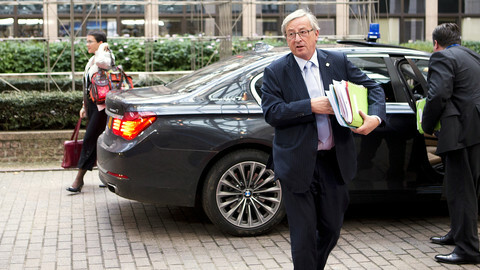 Juncker needs a so-called qualified majority of EU leaders to back his nomination. British Prime Minister David Cameron has made it clear that he would under no circumstance agree to Juncker, as the ex-Eurogroup chief is seen as part of an old guard rather than the reform that Cameron is pushing for. German Chancellor Angela Merkel on Wednesday evening went to the British permanent representation in Brussels to talk to Cameron about Juncker in what diplomats described as "candid", which is code for 'tense', discussions. 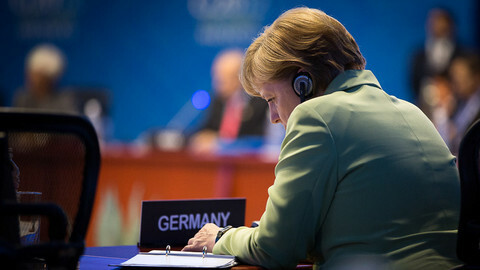 The next day, Merkel admitted in a press conference that "no conclusion was reached". 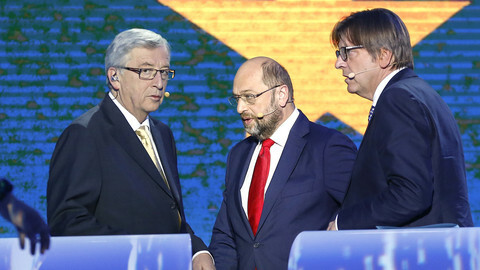 Merkel repeated that she and her entire government back Juncker for the commission post, but said that negotiations will take some time and warned against alienating Britain. As for Cameron, when asked in a joint press conference with US President Barack Obama about Juncker, he said that it would be wrong for Europe to "stick its head in the sand" after the eurosceptic vote in France and Britain. "On the issue who runs the European Commission, what matters is people who understand the need for change, for reforms. That was the message widely received in the elections," Cameron said. Obama also weighed in on the debate, warning against Britain leaving the EU – a prospect which Cameron reportedly raised when talking to fellow EU leaders who consider Juncker's nomination. "It's always encouraging for us to know that Britain has a seat at the table in the wider European project. It would be difficult to imagine that project going well in the absence of Great Britain," Obama said. 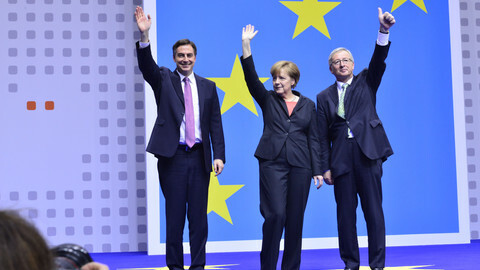 But Cameron is not alone in his opposition to Juncker. Italian Prime Minister Matteo Renzi, who also took part in the G7 meeting in Brussels, said in a press conference afterwards that "the new commission president has to stand for a new agenda", putting an end to austerity policies. Renzi also said there should be no "diktat" on who should run the commission, neither by a country – a reference to Germany – nor by an institution, alluding to the European Parliament who wanted Juncker to be the negotiator for the post, not EU council chief Herman Van Rompuy. The Italian leader would like to see a woman in a top post, or preferably several, not just a successor to EU foreign policy chief Catherine Ashton. 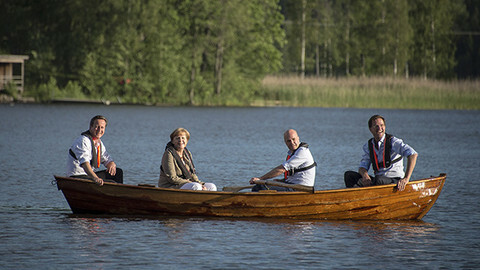 Two women are currently floated for an EU top job – the centre-right, French ex-finance minister and head of the IMF Christine Lagarde and the Danish centre-left Prime Minister, Helle Thorning-Schmidt.